The NBA season is less than one month away, and each Monday through Friday leading up to tipoff, AOL Sports has been unveiling our team previews and power rankings for every team entering the season. Most recently, we had the Sacramento Kings, after their soap opera of an offseason, come in at No. 20. Entering the teens, at No. 19, is a team looking to rebound from a season-long disappointment in 2014-15. Whether it was because of the Bobcats' late-season surge and surprisingly great defending during Steve Clifford's rookie year as coach in 2013-14, or because of the team's rebranding into the beloved Hornets heading into the new season, last year's team entered the year with high expectations. According to several accounts, the Hornets were projected to finish in the East's playoff picture -- as high as the No. 4 seed, according to some. Obviously, the team didn't finish close to the postseason. With just 33 wins, they finished in 11th place, with the defense tailing off from a year before and the offense remaining a stumbling mess. But with a number of new additions for the coming season, there's hope that they can flirt with the postseason once again. Nicolas Batum will be infused into the starting lineup after an off year with the Portland Trail Blazers, but the do-it-all wing player could be in for a big year with free agency looming next summer. The career 36-percent three-point shooter knocked down triples at just 32.4 percent clip last year, and an upswing back to his career average would certainly help a team that ranked dead last in three-point shooting last season. After trading for Batum, the team took the plunge by drafting four-year Wisconsin standout Frank Kaminsky, while nobody really had any idea how his skills will translate to the NBA. The 7-footer should enjoy offensive success, and could even space the floor a bit with his shooting. But his deficiencies on defense and lack of an inside game could put him at a disadvantage against his counterpart more often than Charlotte would like. Jeremy Lin is another new addition, but his impact on a team without top-notch shooting is questionable. Lin certainly has a role in the league somewhere, but his strengths -- taking his man off the dribble, running the pick-and-roll and driving to create for others -- don't particularly mesh with this team. That'll be a fit worth monitoring as the season trudges along. Lin will join a backcourt rotation with Kemba Walker, who has evolved into a serviceable two-way player despite lacking ideal size. But the 25-year-old will need to improve his shooting numbers in order to take the next step -- 17.3 points on 15.8 shots per game last season just isn't good enough. Michael Kidd-Gilchrist -- despite poor perimeter shooting -- is still a positive for Charlotte, offering elite-level defending and rebounding while shooting 46 percent for his career. And Al Jefferson will continue to be the team's scoring rock to turn to inside. 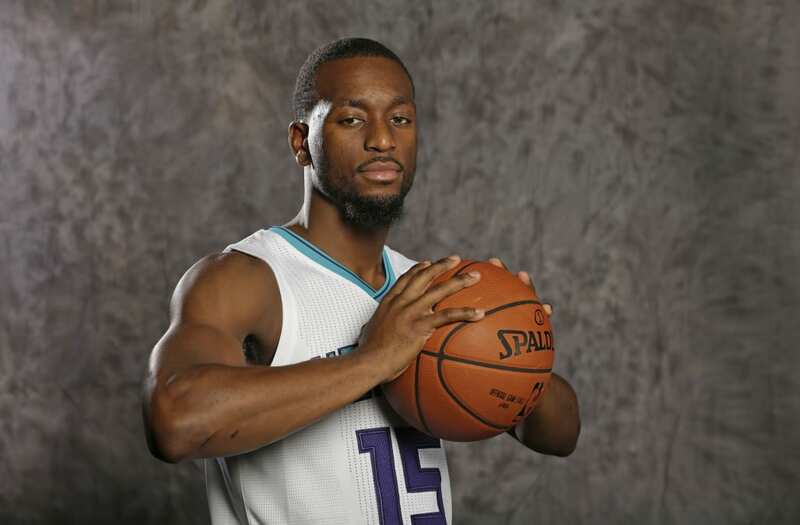 But beyond the primary six or seven rotation guys, the Hornets' depth becomes scary. Jeremy Lamb and P.J. Hairston will need to contribute positive minutes, as will Spencer Hawes and Marvin Williams. There's potential for a decent season, and topping last year's win total is a totally attainable goal. Nice pieces were acquired, but the overall roster construction could be a bit too clunky for Charlotte to make a major leap in the standings this year.